The latest forecasts of the European Commission on Eurozone’s growth are not very encouraging. This is not a new development, but it is worrying that ten years after the global financial crisis, the consequences of the crisis have not been yet fully addressed. Decline in demand is quite pressing; growth rates are still low, below 2%, a fact that demonstrates the inability of the major European economies to develop a growth dynamic in EU scale. The slowdown in Eurozone has wider implications for both the social and economic indicators and for the resilience of the economic architecture. Unemployment and poverty rates are not falling as expected by the Commission's estimates and the Europe 2020 program, social and regional disparities remain high, whereas the political leaderships in member-states such as France, Germany and Italy are not pushing for the necessary institutional reforms. The worrying thing about the Eurozone is not the possibility of a new financial crisis, but the prolonged stagnation in all the dynamic indicators of the economy. A major issue is the disruptive tendencies within the EU and the Eurozone, as expressed by the populist and ultra-right forces, but also by the neo-liberal forces that have caused social unrest and economic inequalities. In such turbulent times, the Greek government is trying to deal with the current deadlocks. The Greek government and Prime Minister Alexis Tsipras are implementing and advancing a progressive social agenda, strengthening economic and social indicators and contributing to the shift of Eurozone's direction towards more sustainable policies. Within this framework, we cannot remain unaffected by the political developments taking place in the bigger Eurozone member-states. The "Yellow Vests" in France, the great concern with Brexit in the UK, and Salvini’s policies in Italy, all these open issues increase instability and make us speeding up our pace, seeking answers to address the deep political crisis and the growing concerns of the European citizens. In this context, we are one step before the European Elections on May 2019, knowing that we need to cope with the big social pressure for reforms in the European establishment. If Europe does not change, it is in danger of decay, and this is not something that could happen in the distant future, but in the near future. 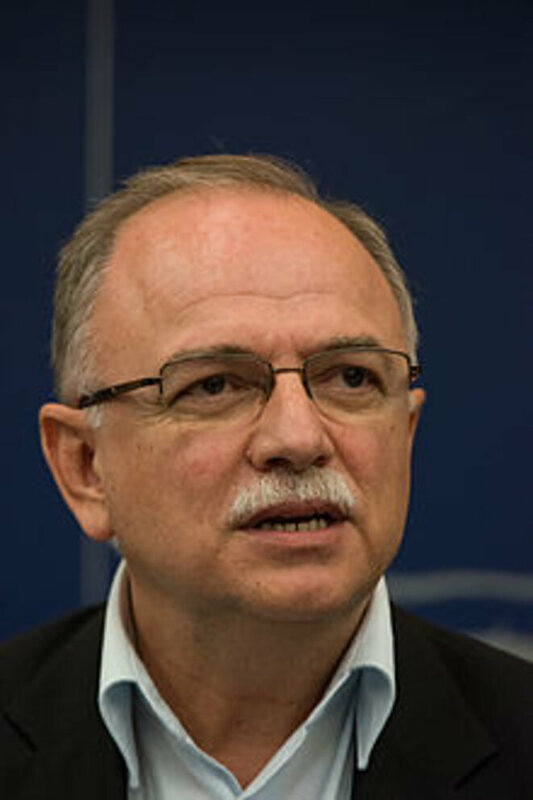 * Dimitris Papadimoulis is Vice-President of the European Parliament, head of the SYRIZA party delegation.